For those who have not seen it. Aside from just having colour on one side, the Pac people were also enlarged, moved, and given eyes. This was done by the artist and not by the community, but there were no objections to it. 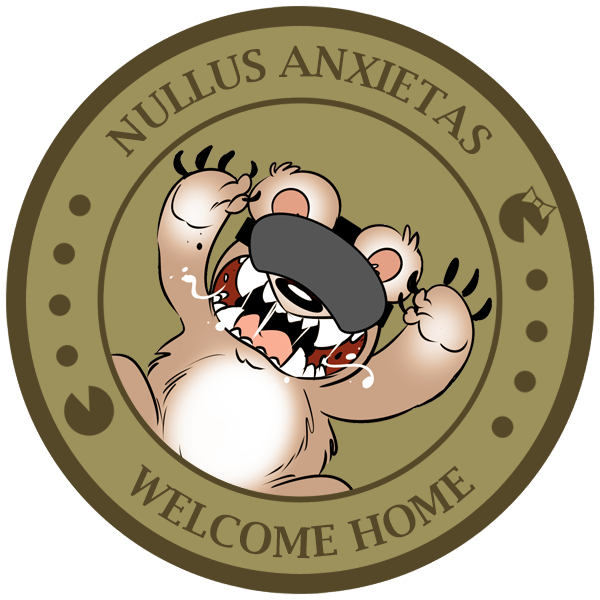 So, a non-gaming centric sided coin has been done before! DON'T YOU RUIN THIS FOR ME! 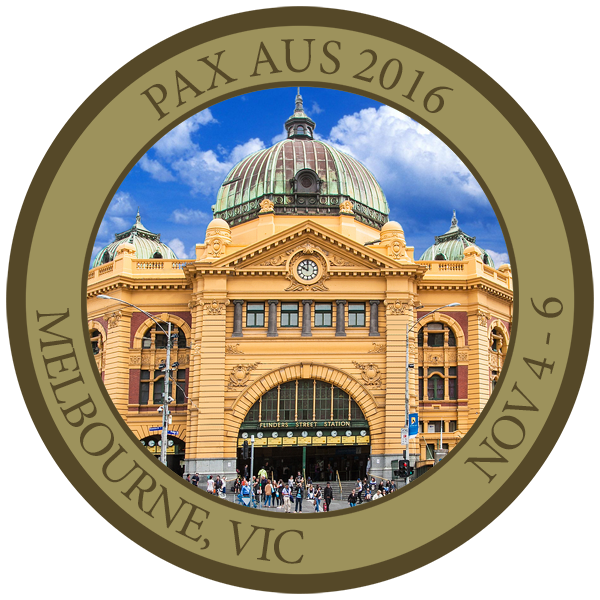 I'm still cleaning up the source pic, but what does everyone think about using Flinders Street Station for the location side? Iconic melbourne building, i approve. : i would have thought Jeff's Shed would be more relevant? It certainly was last year. Now we just need to work out if we need to "gamify" the dropbear, and how. I could stick a power glove on him I guess? 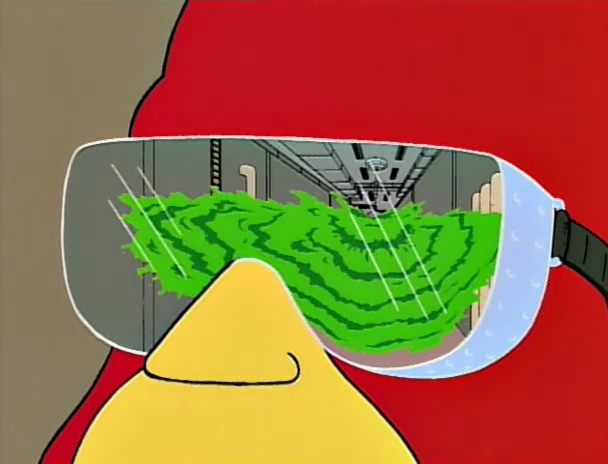 Actually I hear VR is going to have a big showing this year. I might see what the dropbear looks like with some goggles on, and if they do nothing. VR was heavily seen at Pax West this year! Large gaming companies are getting on the bandwagon. I saw a few in the indie section too! I'm sure there will be a presence at Pax Aus. This one might only work if we do colour. Should I put "VR" on the goggles, or is that clear? I was considering trying to do it like the VB beer logo but it was too messy of a design/litigious. No need, think its pretty obvious. Maybe, looks a bit like a sleep mask. If we can only have colour on one side if should be this one. So TERRA PRETIOSA LUDOS should actually be TERRA PRETIOSORUM LUDORUM, for what it's worth (google seems to confirm this). Feel free to discuss, but the actual voting will be via the form I'm about to make. I've added a section for entering your email if you'd like to be notified about coin updates in the future. 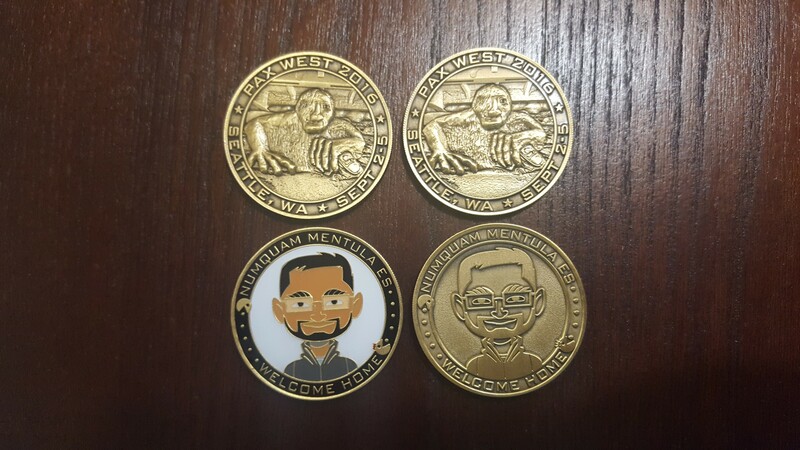 Ok we have until Friday to decide if we want to do a coloured coin this year so vote here! Submitted. 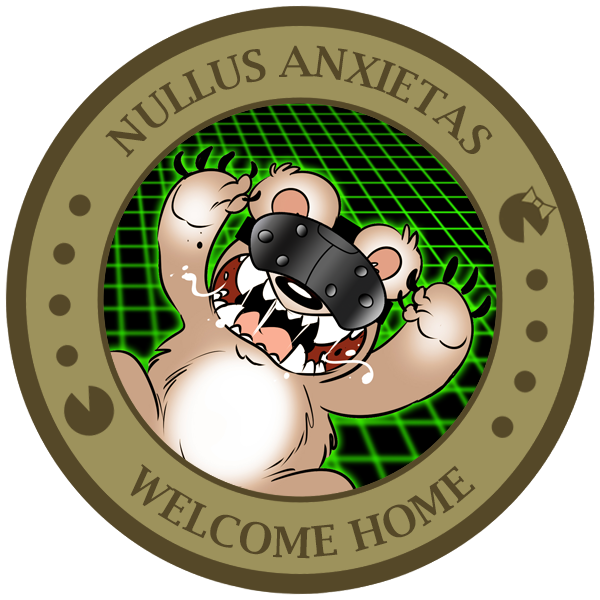 Loving the latest design, dropbear with VR! Looking forward to these being available for order. Looks good gang, I'm getting damned excited.  Well the polls are pretty much conclusive so I'll probably release the results and submit the design tonight. Get voting now if you were planning to! Voted. Thanks for organising this! With the Flinders Street side (great idea BTW), I was wondering if you were planning to do it 'full colour' or do it the same way they did for the South coin (enamel to show off the 'depth'. I'd vote for that, and suggest that at the most the colour on the flinders st side should be a green roof enamelled on? That's really up to @akidderz at this point honestly. 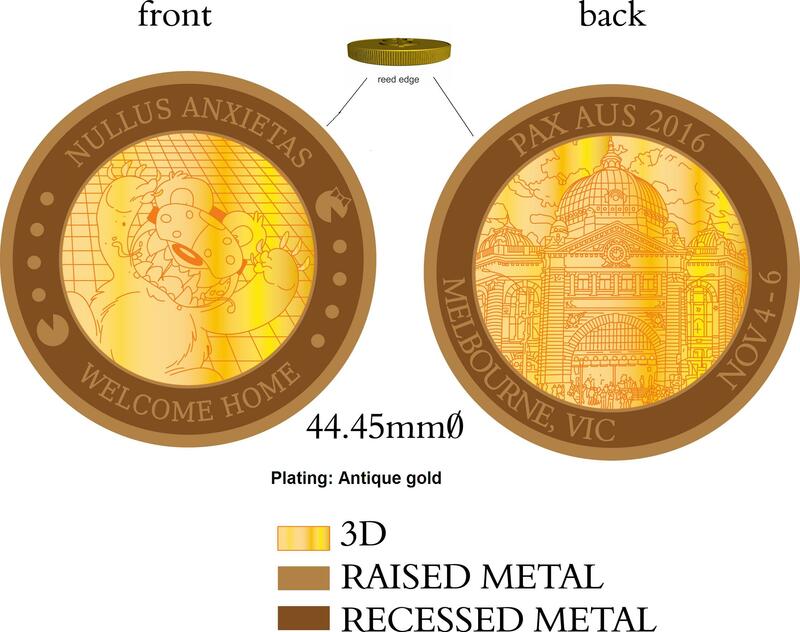 If we go a full colour coin on both sides I'd imagine it would just be a photo sealed in with clear enamel, assuming that's how they do it. 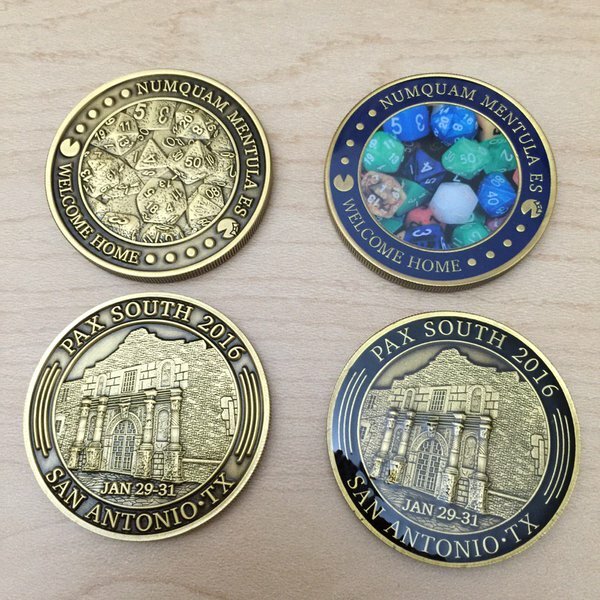 So when are we ordering these coins that I didn't know about last year because PAX was a late decision? I'll probably have the order form up early next week, if not this weekend. Great idea choosing flinders Street station as the landmark fish ! And I did it all on my own! So keeping the current one. 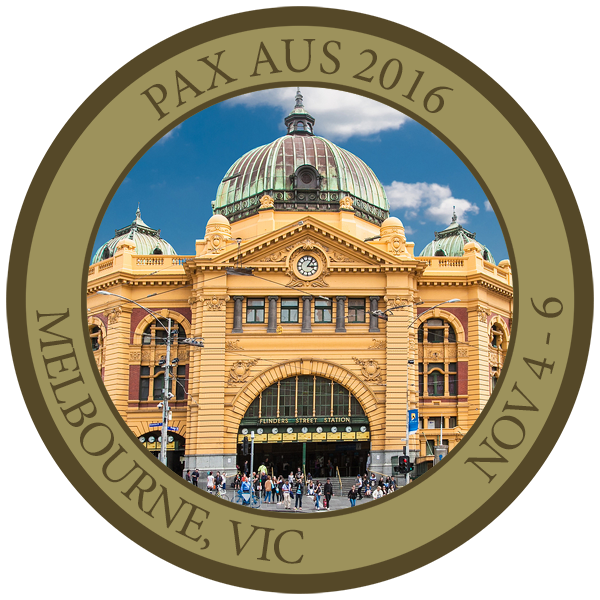 Standard and colour coins this year. I'll keep the polls open until I get the order form together in case anyone wants to add their email to the notification list or just if they like to vote on stuff, but otherwise that's everything we had to work out decided! Please everyone double check that for typo's/correct dates and let me know if you find any. Dude, just turn it around. But seriously I just had a small heart attack thinking I might have gotten the text paired with the wrong image, but no that's correct. Still sorting out prices/shipping at the moment, but I'll let everyone know when we can start ordering. 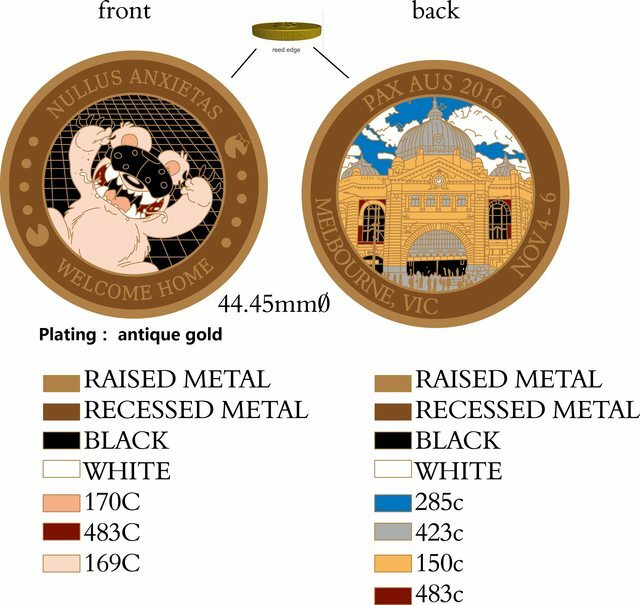 Order update: Ok so now all coins in the first batch (100 standard/100 colour) will be distributed at PAX AUS by myself (getting them shipped straight there from the factory). 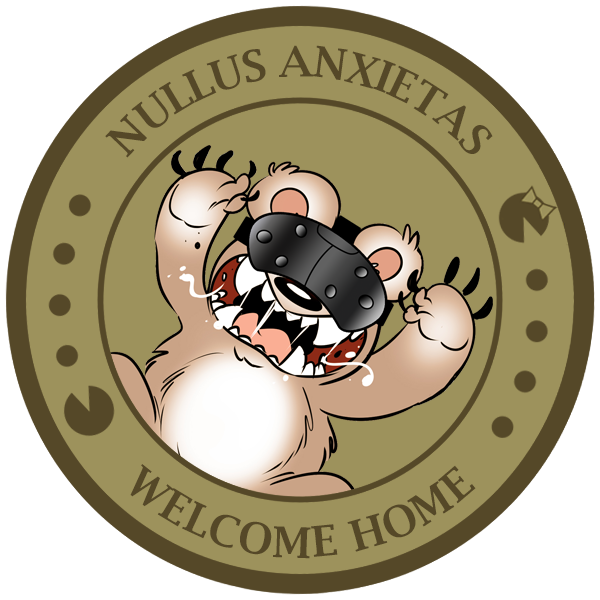 So once I get the prices the form will be a tad more straightforward than last years (less postage options).